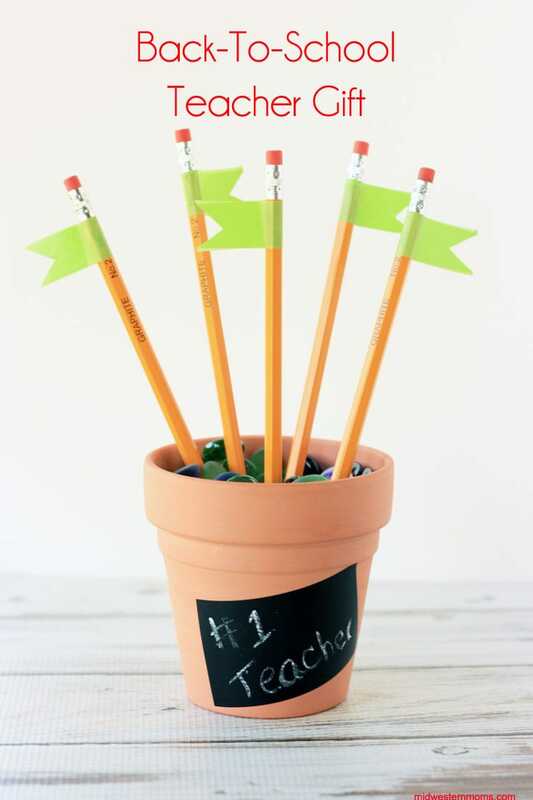 A simple back to school teacher gift to show your appreciation! My son is counting down the days till school starts! He is so excited to start Kindergarten. We thought it would be a great idea to make a pencil holder for school; however, I don’t think they are allowed one at their table. So we decided to make one for his teacher. 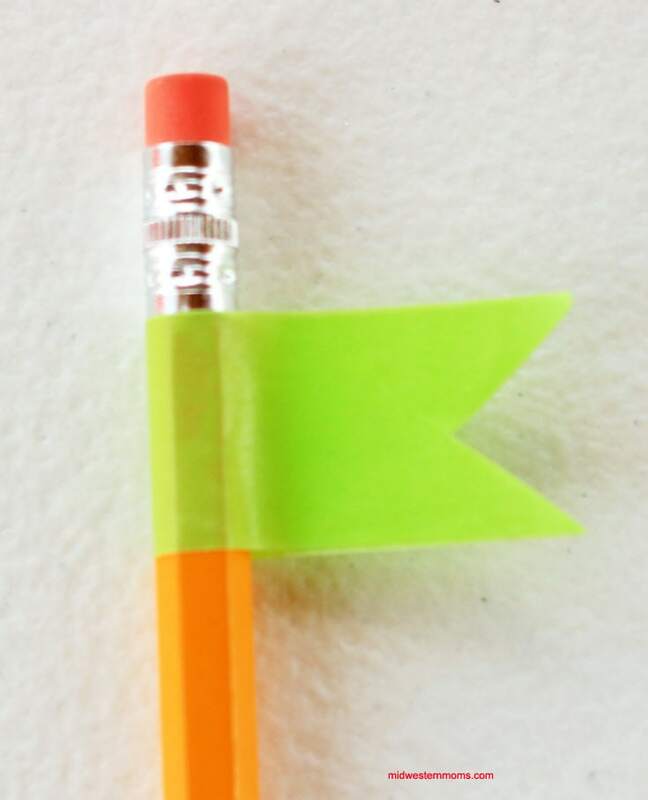 A great thing about this pencil holder, it holds extra pencils for when a kids need them and it has special flags so the kids can return them to the teacher. When looking for the perfect Duck Tape to use for this project, my eyes laid upon the Chalkboard tape. I HAD to use this tape. Nothing says teacher like chalkboard! 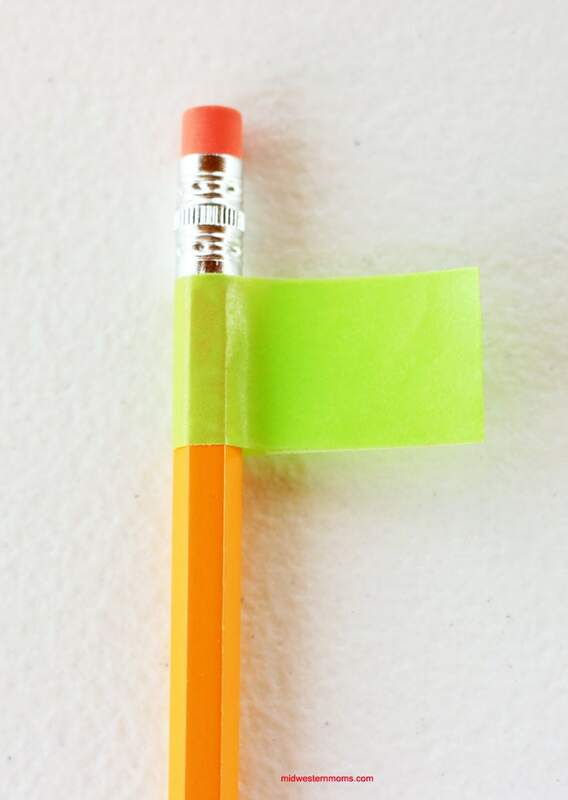 Step 1: Cut a section of the Chalkboard Tape. We cut ours to be about 3 inches long. 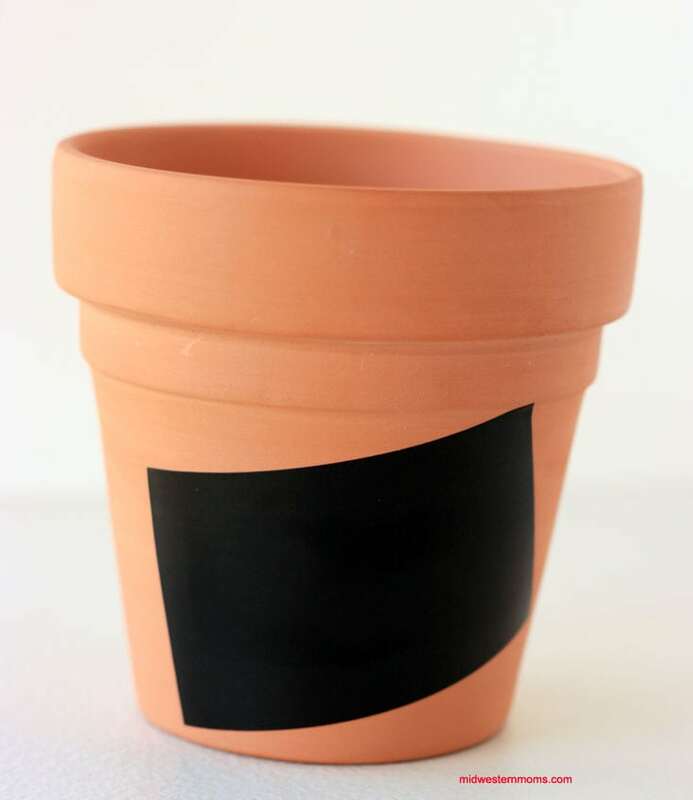 Peel the backing off the tape and apply it to your terra cotta pot. TIP: Don’t try and put it on straight. Since the pot is round, it just doesn’t look right. It is best to angle the tape. 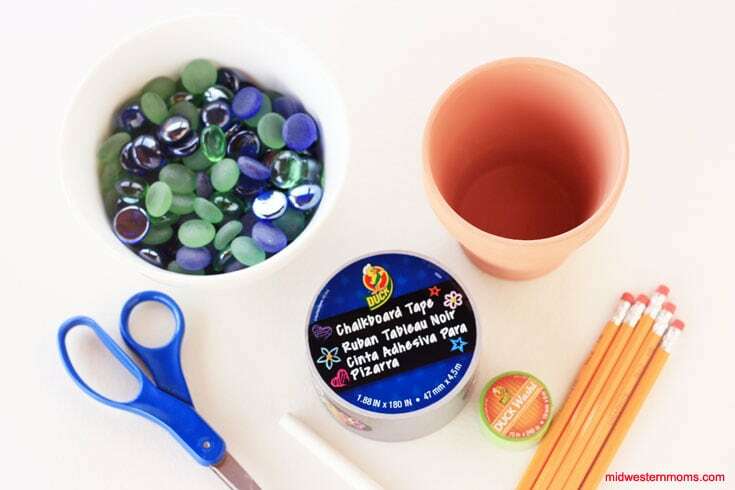 Step 2: Using your chalk, write a cute little message on the chalkboard tape. It is best to do this before filling up the post. Step 3: Fill your pot with the decorative pebbles. 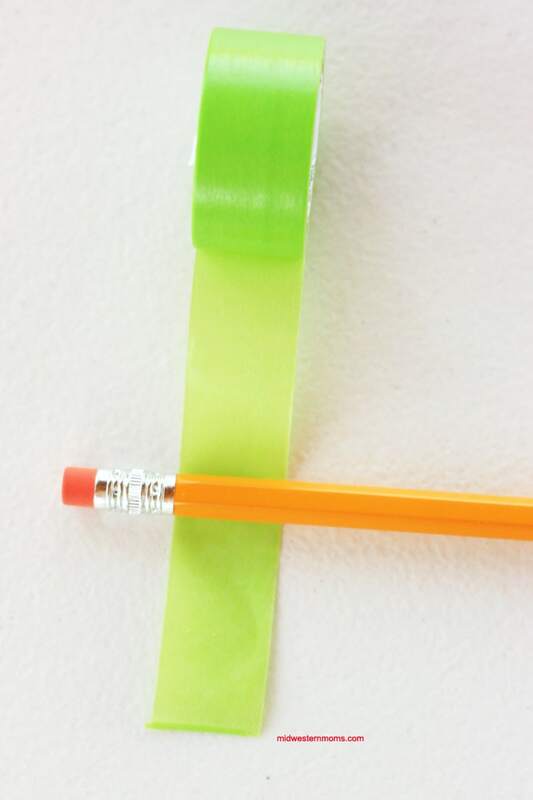 Step 4: Take a pencil and lay it on the sticky side of the Duck Washi Tape. Step 5: Fold the tape over on to itself and cut. Step 6: Cut a triangle out of the flag. 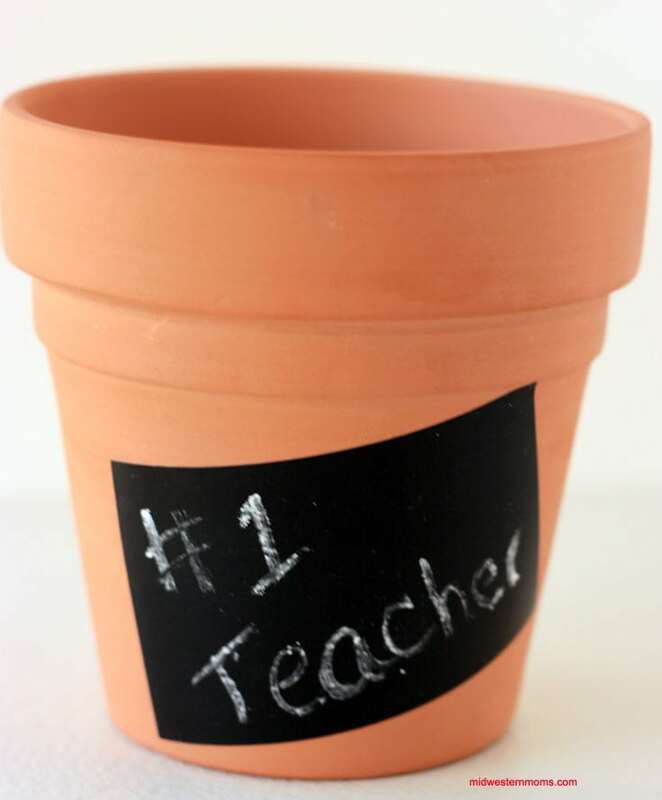 Now all you have to do is to add the pencils to your terra cotta pot and you are done! 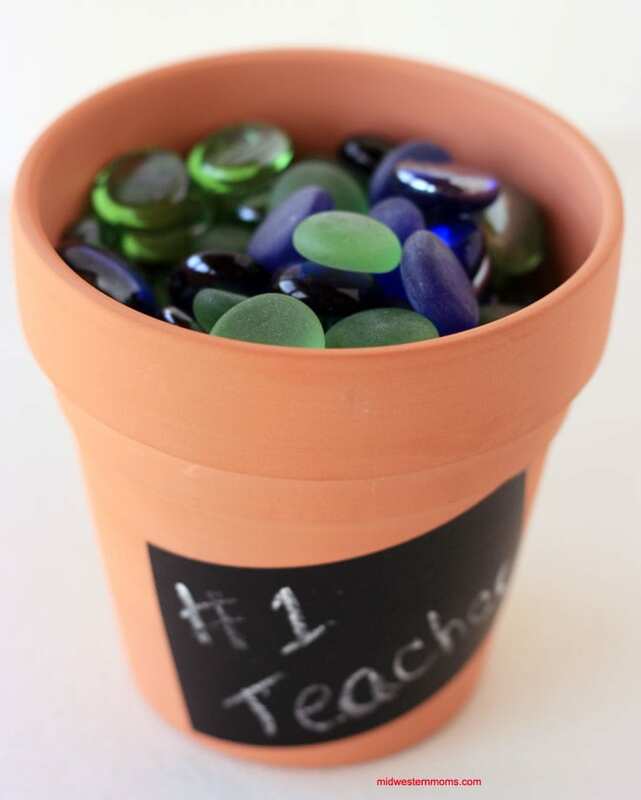 I told you it was the simplest teacher gift to make. Want more Duck Tape Back to School Projects?? Check out their Pinterest board full of awesome projects. Duck Tape has tons of great prints as well so all school projects can be personalized to fit your child’s likes. This is super cute. I am a teacher, and I would love to get this as a gift! Love this. It is so cute and such a neat idea. I’d use it for my kids binders! I would use Duck Tape to either color code and/or label my kids’ school supplies.